Have you ever experienced the dark night of the soul? Your teachings have been so helpful through this difficult period. Can you address this subject? You are meant to arrive at a place of conceptual meaninglessness. Or one could say a state of ignorance – where things lose the meaning that you had given them, which was all conditioned and cultural and so on. Then you can look upon the world without imposing a mind-made framework of meaning. It looks of course as if you no longer understand anything. That’s why it’s so scary when it happens to you, instead of you actually consciously embracing it. It can bring about the dark night of the soul – to go around the Universe without any longer interpreting it compulsively, as an innocent presence. You look upon events, people, and so on with a deep sense of aliveness. Your sense the aliveness through your own sense of aliveness, but you are not trying to fit your experience into a conceptual framework anymore. After escaping his captors, John fell into a state of profound ecstasy and wrote Dark Night of the Soul. Later, he added an important commentary to his poem to guide other searching souls along the arduous path to communion with God. Here, for the first time, a scholar unaffiliated with the Catholic Church has translated this timeless work. In this season of the winter solstice, the darkest time of the year, how could we not marvel at the entire universe obeying the same fundamental laws of nature? These laws are constant, can be observed and allow us to identify patterns in all realms of existence— physical and spiritual, individual and collective—since they are all part of the same ultimate Reality. All of creation is an indivisible oneness. Individual and collective development, just like the cycle of seasons, follows the same pattern of maturation, decline and eventual renewal. It is well known from the world’s spiritual and mystical literature that we experience periods of doubt, confusion and conflict many times over in our lives, all of which can fuel a dark night that eventually turns into a process of transformation, or rebirth. The journey into a dark night where all is new, unknown and at risk is a journey toward reshaping our lives, and redefining who we are. 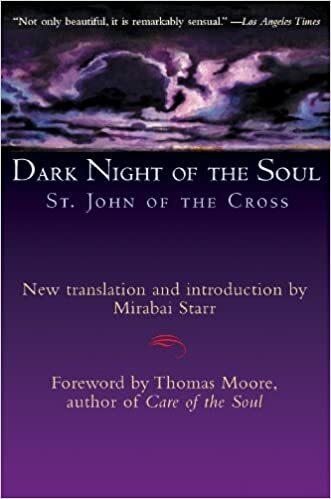 The phrase “dark night of the soul,” introduced by 16th century mystic St. John of the Cross, is now a classic motif in all literature and has come to identify a time of challenge, despair and spiritual crisis in a person’s life that often leads to transformation involving a symbolic death and rebirth experience, resulting in a deeper spiritual life. But what about the dark night of the collective soul? Is there a similar process of crisis and despair leading to the transformation and renewal of the community, the nation or the entire human society as a whole? Is humanity currently experiencing a loss of soul, a spiritual crisis? Civilizations and empires have long followed a pattern of rise and fall, bringing to mind the Egyptian, Aztec, Incan, Mayan, Greek, Roman, Persian and Ottoman empires, and in more recent centuries, Spain, Portugal, France and Great Britain. All these powers have risen and fallen yet continued to exist in a different form after their dark night of the collective soul. Many feel we, humanity as a whole, are currently in that dark night of the collective soul. In our time, the transformation of one leads inevitably to the transformation of all. What affects the part, impacts the whole. However, though we are becoming a global community, a “dark night” in one region of the world does not mean that transformation will occur in all regions of the globe at the same time. Global transformation would be a gradual, part-by-part process, in the long run resulting in the advancement of civilization as a whole. All of creation participates in this pattern of opposition followed by progress. Nothing escapes the cycle of opposites that defines the nature and process of change and growth. It is a process of deep organic change in the structure of society that most characterizes the dark night of the collective soul. This dual process is part of a collective pattern of growth characterized by “a series of pulsations, of alternating crises and triumphs,” forming “a dialectic of victory and crisis.” One aspect of the process is essentially integrative, striving to unify world systems, while the other is fundamentally disruptive, tending to oftentimes violently maintain the barriers that separate humanity, keeping it from its destined goal. Ours is a time of one of humanity’s greatest transformations. We live in a world defined by the dramatic collapse of the old forms of society. This disintegrating force has made chaos the norm for the generations of the 20th and 21st centuries. Though this societal fermentation is a painful process, all of the elements that have been broken apart will gradually be reorganized and reformed into something entirely new. Humanity’s story has taken this turn toward chaos and disintegration because it refuses to acknowledge and embrace the spiritually based principles meant to guide its own evolution into a new global era that demands cooperation and integration. A shortsighted and limited vision is holding humanity hostage. At the same time, a vast process of renewal is underway throughout the world. Our suffering is serving to purify and bring together the entire human race. Our dark night is changing us from one state of being to another. This is an inescapable part of our healing and rebirth. The way forward may be through further pain and destruction. Yet this is what will finally bring the differences into sharper focus and help us learn to distinguish more clearly between poison and honey, dark and light, and illusion and reality. The promise of world peace has been out there for millennia; it is up to us to bring it into reality. As a glimmer of the light at the end of the dark night begins to rise above the horizon, we must keep our eyes on this coming dawn, and on the signs of hope and progress we are witnessing. Beneath the illusion of separation, humanity is one family. A global community with a consciousness of oneness is emerging. Don’t be distracted by seeming setbacks; hope is our inspiration, love our unifying force, and unity our ultimate destination. How we get there depends upon the stories we live by, and the action we take. Robert Atkinson, PhD, author of The Story Of Our Time: From Duality to Interconnectedness to Oneness (Sacred Stories Publishing, February, 2017), from which this piece is adapted, and of which Michael Bernard Beckwith wrote, “A must-read by the widest of global audiences,” is professor emeritus at the University of Southern Maine, director of Story Commons, and the author of eight other books. A short clip of Eckhart Tolle discussing the Impersonal Nature of Awareness in Santa Barbara for Eckhart Tolle TV. 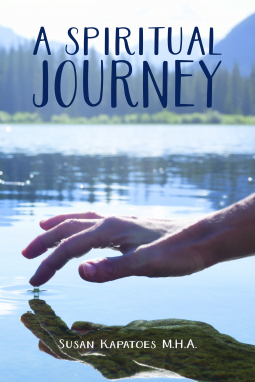 A Spiritual Journey by Susan Kapatoes, M.H.A. Did you know? That we are powerful beings with the ability to use our inner strength for the benefit of humankind. Throughout her life, Susan Kapatoes has felt moments of divine intervention – compelling events that caused her to remember and experience the omnipresent energy that is moving through our infinite universe and permeating our everyday lives. Kapatoes shares the inner tools for igniting our own spiritual journey: sincerity, awareness, joy, and knowledge. We all have access to such tools. How we choose to use these instruments dictates the course of our own lives, and that of humanity. A Spiritual Journey empowers each of us to take positive action and awaken our own inherent wisdom. Greetings to all 🙂 Throughout my life, I have had the unexpected opportunity to experience certain events that can be described as divine intervention. In a beneficial manner, I have been shown that we have a spiritual existence coinciding with our human reality. I felt compelled to write about these graceful times in order to help people expand their consciousness and connect to their own inner wisdom. We are powerful beings with the ability to awaken our inherent strength in a positive way. In “A Spiritual Journey”, I describe those moments of grace and share personal stories which have shaped my own life. As a result of my life experiences, I like to write spiritual and nonfiction books with an uplifting theme. I have always been intrigued by success stories and understanding what drives people to find inner happiness. In regards to my educational background, I hold a bachelor of science in Human Nutrition and a masters degree in Healthcare Administration management. As a complement to my formal learning, I have studied holistic medicine which utilizes a multidisciplinary approach in order to promote balance and optimal well-being in a person’s life. Throughout her life, Susan Kapatoes has felt moments of divine intervention: powerful experiences that deeply touched her heart, revealing our existence extends far beyond the boundaries of the physical world. Stories of love, friendship, and spiritual grace are shared, along with those moments of doubt and uncertainty that beset any life. Kapatoes shares the inner tools for igniting our own spiritual journey: sincerity, joy, a peaceful mind, and a strong spirit. We all have access to such tools. How we choose to use them dictates the course of our own lives, and that of humanity. A Spiritual Journey empowers each of us to take positive action and awaken our inner light and wisdom. I had wrestled with depression for 40 years. This was not depression. Yes, some of the symptoms were the same: the lack of motivation, the boredom with hobbies, the never-ending fatigue. But the sadness was missing. So, in fact, was emotion of any kind. In its place were calm, stability, and clarity of thought that transcended feelings. I wondered if I’d stumbled onto something that sages have written about for centuries: the dark night of the soul. Today, many people use the phrase dark night of the soul to refer to an episode of depression. But experts who know both conditions take care to distinguish the two. John of the Cross, the sixteenth-century mystic, devoted a chapter of his classic Dark Night of the Soul to discerning the dark night from depression. Noted psychiatrist Gerald May, MD, has written extensively on the topic as well. The nuns’ descriptions of the Dark Night of the Soul coincide with Font’s … observations of the ‘salutary’ religious depression, which he differentiated from ‘pathological’ religious depression which is the domain of psychiatry. Although this salutary depression may share some symptoms with the pathological condition, the depressive symptoms could be the healthy expression of a process of spiritual growth. Given the option, I would not have avoided those many years of spiritual void and dissatisfaction, as they enabled me to become who I am today. I got rid of lots of baggage … so many imperfections! … I came out of it completely changed … it made me grow in my faith. So how do you tell which is which? Gerald May suggests several differences. People in the dark night, he writes, tend to retain their sense of humor and compassion for others. Many continue to be effective in their daily lives. They often sense the value of the experience even as they endure it. None of these “symptoms” are typical of depression. Still, the distinctions are subtle. To make things even more difficult, depression and the dark night can occur at the same time. My own dark night took place after two years of one life crisis after another—a seriously ill child, a nightmare job, elder care, marital stress—and the severe depression that accompanied them. When the cloud of depression lifted, however, that calm clarity was still there. For months I reflected on this. I kept on doing what I needed to do, despite the fact that it brought me little happiness. And something began to dawn on me: I could live this way. I could do what my work, my family, and my soul asked of me, without emotion, and it would be OK—even fulfilling. What lessons might emerge? As part of her dark night, Mother Teresa learned to identify deeply with the desperation and emptiness of the destitute people she served. As part of my dark night, I learned how thoroughly I often confused my emotions with reality; the lack of emotion allowed me to see the difference. Moreover, it helped me to see how the most valued gifts of the spiritual life—love, joy, peace—are not transitory feelings but rather states of being, permanent, available to us whenever we need them. This knowledge has made me much more resilient in the face of the ups and downs of my emotional life. As it turns out, the Spanish nuns discovered the same thing: they used the lessons they’d learned in the dark night to manage the other stressors in their lives. Unlike depression, which calls for treatment and recovery, the dark night invites us to explore, pay attention, make meaning—or, rather, let meaning emerge. So the next time the darkness comes, ask whether it’s depression, or something deeper, or both. Get the right help, and if you can find the riches within the experience, mine them and savor them for all they’re worth. Seek help. This always bears repeating: because depression can be dangerous, it’s best to start with a therapist to treat or rule out mental health issues. Beyond that, a wise guide of your choice—a spiritual director, shaman, guru, or even a close friend—can “listen with you” to your experience. Ask questions of the darkness. Where is the Universe, or God, or your Higher Power in all this? What wisdom might the darkness have for you? Holding these questions in mind during meditation can yield more insights than you might expect. Journaling can encourage them to rise to the surface. So can going on retreat. Read about others who have endured the dark. My go-to book was Come Be My Light, a collection of Mother Teresa’s letters, which chronicles her 50-year dark night and the priceless lessons she learned from it. Writings like these can help you explore aspects of your experience that you might not have considered. Even better, they provide the comfort of knowing you’re not alone. Keep moving. The point is not to distract yourself from the emptiness. Rather, you keep moving because you can still be productive even without feelings. Increasing numbers of people are experiencing “spiritual emergency”–a crisis that occurs when the process of growth and change becomes chaotic and overwhelming. Here, the pioneers of the field of spiritual emergency validate that such episodes have profoundly healing potential. Christina Grof was raised in Honolulu, Hawaii, and graduated from Sarah Lawrence College in New York. Her original career as a teacher of art was interrupted when a powerful spiritual experience during childbirth launched her into many years of emotional turmoil, later identified as the manifestations of Kundalini awakening. She taught Hatha-Yoga and was deeply influenced by Swami Muktananda Paramahansa, head of the Siddha-Yoga lineage; she was his student until his death in 1982. Her own unusual experiences generated in her deep interest in nonordinary states of consciousness and transpersonal psychology. Together with her husband, Stanislav Grof, she has developed Holotropic Breathwork, an experimental technique of psychotherapy that combines controlled breathing, evocative music, and bodywork. She and her husband have also organized international transpersonal conferences in Boston, Melbourne, Bombay, and Santa Rosa, California. Christina’s particular area of interest is the relationship between mysticism and psychosis. In 1980 she founded the spiritual emergence network, an international organization providing support for individuals undergoing transformative crises. More recently, her interest has extended into the area of the spiritual aspects of alcoholism and addiction. In the last decade she has conducted lectures and workshops in North and South America, Europe, Australia, and Asia. She is also co-author of the book Beyond Death. 1. What is Spiritual Emergency? 10. Who Can Help and How? NOTE: This is an excerpt from the two-part, 60-minute DVD. Christina Grof describes her own struggle to overcome alcoholism and suggests that the impulse that leads to addictive behavior stems from our yearning for spiritual union. Crises of spiritual opening, she says, may often look like episodes of acute psychosis and are often difficult and even painful. Unlike psychosis, however, such crises can lead to higher states of personality integration. 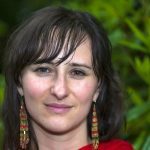 Christina Grof is founder of the Spiritual Emergence Network. She is author of The Thirst for Wholeness, and is a developer, with husband Stanislav Grof, of Holotropic therapy. Andrew Harvey’s celebrated book Hidden Journey chronicled the Oxford scholar’s departure from the materialistic doctrine of Western academia to his embrace of mystical Christianity. Shortly after Hidden Journey’s 1991 publication, however, Harvey experienced a schism with his then-guru that created shock waves throughout the spiritual world in which he is a leading mystical teacher. 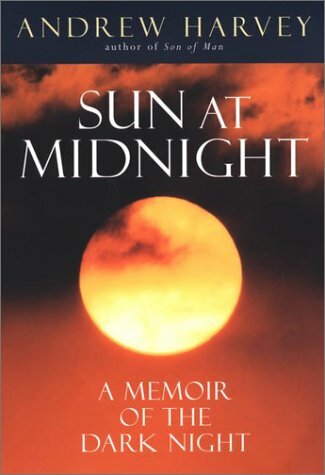 Sun at Midnight is the story of Harvey’s efforts to pick up the pieces of his life, his faith, his marriage, and his sense of relationship to the Divine after a split that sent him reeling into depression, crisis, and fear for his life. The book is based on the Christian concept of the “dark night of the soul,” whereby a part of oneself must die for a truer faith to be born. In “seven acts,” Sun at Midnight tells the story of Harvey’s break with the discipleship to which he had previously devoted his life; his struggle to understand whether those years were wasted in blind fantasy; his ultimate realization of the all-redeeming power of love; and his revolutionary leap into a new, more direct relationship to the Divine. Andrew Harvey is an internationally acclaimed poet, novelist, mystical scholar, seeker, and teacher. He is the author of more than thirty books, including Son of Man, The Direct Path, Hidden Journey, The Way of Passion, The Return of the Mother, and A Journey in Ladakh. Author of 30 books including ‘Hidden Journey,’ ‘The Hope,’ and his forthcoming book ‘Radical Passion’ talks about his life, his awakenings, his ‘dark nights’ and his work these days encouraging people to explore and engage in Sacred Activism. Talks about his time with Mother Meera, the importance of shadow work, and how as a human race we are right on edge of death, but also a new birth. The first stage—Awakening—is one you may have already experienced, and it’s when you’re filled with the awareness that you are part of an enormous life in which everything is connected. Then comes “Purification,” where I’ll take you through advanced processes to deeply remove the veils and obstruction of the ordinary, unexamined life. You’ll be permanently released from old ways of being and able to recover your higher innocence. The traditional third stage that comes next is “Illumination.” This is the light of bliss, often experienced as actual light, which literally pervades everything. You’ll see beauty and meaning and pattern everywhere, yet remain who you are and able to go about your daily work! This is also the stage that many artists, actors, writers, visionaries, scientists, and creative people are blessed to be able to access at times. In the fourth stage of “Voices and Visions,” you’ll go beyond your five senses and interact with a much larger reality. This larger reality experience may involve beings from different dimensions such as angels and archetypes, while also including those spiritual allies that lie within us that lead us to the unfolding of the unseen gifts we all contain. Then comes “Introversion,” a turning to the inner life that includes silence in prayer and contemplation. I’ll take you through some of the vast resources of spiritual technology to journey inward so you meet and receive reality in its fullness. The result is an integrated spiritual daily life that brings your inner and outer life together in a new way. The sixth stage of “Ecstasy and Rapture” is when the divine presence meets the prepared body, mind, emotions, and psyche of the new you that’s fully developed. At this point, you’ll be able to ecstatically receive the One and find the Spiritual Beloved. It involves decoding both the Art and Science of Happiness, and I’ll be providing you with an advanced toolkit to achieve this. But alas, after all this joy and rapture, the seventh stage is the “Dark Night of the Soul,” which obeys the dictum that what goes up, must come down. Suddenly the joy is gone, the Divine Love absent, God is hidden, and you must face the remaining shadows of old forms and habits of the lesser self. The community support at this stage will be most crucial to midwife you through it and prepare you for the final stage. Here, you’ll exist in the state of union with the One Reality at all times. You will be both your one self and God. I truly can’t emphasize enough how much of a life-altering, destiny-shaping process this is! Over the decades, many of my students have had to travel long distances to receive the full guidance of moving through these 8 Stages of Evolving. Those I’ve guided through this process have described feeling a sense that everything is possible. And indeed, once they go through the process and truly integrate it, they immediately experience life as a state of limitless possibilities. They become world changers and world servers. They become powers for life, centers for energy, and partners and guides for spiritual vitality in other human beings. They glow and they set others aglow. They’re no longer human beings as we’ve known them to be. They are living their supreme destiny . . .
To your life as an agent of change. What is the message Jean Houston most wants us all to know? Find out why she says we are all capable of handling the greatest challenges of our time. Then, watch as she turns the tables on Oprah and asks her one very important question: Where does she want to be at age 75? Wisdom University presents “Women Mystics and the Journey Toward Mystical Creativity” – taught by Jean Houston and Peggy Rubin. Excerpt from Day One – on Mystical Awakening. Barbara Brown Taylor’s last book, An Altar in the World, was a New York Times bestseller that received the Silver Nautilus Award in 2012. Her first memoir, Leaving Church, received an Author of the Year award from the Georgia Writers Association and won the Theologos Award for best general interest book of 2006. Taylor spent fifteen years in parish ministry before becoming the Butman Professor of Religion at Piedmont College, where she has taught world religions since 1998. She lives on a working farm in rural north Georgia with her husband Ed. Popular religious and spiritual teachers have a lot of positive things to say about “light” and “enlightenment,” but almost nothing to say about the value of “endarkenment.” Yet darkness plays an essential role in the spiritual life, especially when the well-lit structures of old-time religion are falling down. What might it mean to learn to walk in the dark? Could this be a skill that none of us can do without? Ordained Episcopal priest and memoirist Barbara Brown Taylor shares her personal spiritual journey of learning to walk in the dark outside of organized religion. Barbara Brown Taylor is the Butman Professor of Religion at Piedmont College in rural northeast Georgia and currently a McDonald Lecturer at Emory University. An Episcopal priest since 1984, she is the author of 12 books, including the New York Times bestseller An Altar in the World. Her first memoir, Leaving Church, met with widespread critical acclaim. A book signing and reception on the plaza follows the program. The term “spiritual journey” is now almost a cliche, so it is a shock when one encounters the real thing. It was in 1972 that Donna Lee Gorrell made this astonishing and often harrowing nine-month passage that shattered all her concepts of mind and reality. It took her twenty years of contemplation and writing to gain the perspective she needed to describe it. Driven by the flow of a primary energy force, she experienced bizarre physical symptoms, disorientation, trances and visions. She feared the disintegration that had befallen her schizophrenic mother, whom she remembered being taken from her home in a straightjacket. Donna Lee Gorrell’s passage was marked by a series of shattering insights and classic choices on the road to spiritual integration, which she amplifies and illuminates with crystalline confirmations by the masters of many mystical traditions. Exquisitely observed and written, Perfect Madness is destined to be a spiritual classic in the tradition of best sellers such as Robert Monroe’s Journeys Out of the Body, and Robert Pirsig’s Zen and the Art of Motorcycle Maintenance. 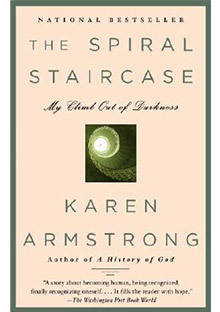 Karen Armstrong begins this spellbinding story of her spiritual journey with her departure in 1969 from the Roman Catholic convent she had entered seven years before — hoping, but ultimately failing, to find God. She knew almost nothing of the changed world to which she was returning, and she was tormented by panic attacks and inexplicable seizures. Armstrong’s struggle against despair was further fueled by a string of discouragements — failed spirituality, doctorate, and jobs; fruitless dealings with psychiatrists. Finally, in 1976, she was diagnosed with epilepsy, given proper treatment, and released from her “private hell.” She then began the writing career that would become her true calling, and as she focused on the sacred texts of Judaism, Christianity, and Islam, her own inner story began to emerge. Without realizing it, she had embarked on a spiritual quest, and through it she would eventually experience moments of transcendence — the profound fulfillment that she had not found in long hours of prayer as a young nun. Powerfully engaging, often heartbreaking, but lit with bursts of humor, The Spiral Staircase is an extraordinary history of self. This is an excerpt from Karen Armstrong’s presentation on The Spiral Staircase from the Jesus Seminar (Westar Institute) Spring Meeting in 2004. For more information or to purchase the complete video, visit our website at http://www.westarinstitute.org or check out http://www.amazon.com. Oprah sits down with Karen Armstrong—a former Roman Catholic nun and a world-renowned religious scholar—to discuss her memoir The Spiral Staircase. Karen reveals deep personal struggles that ultimately became steppingstones in her spiritual journey.